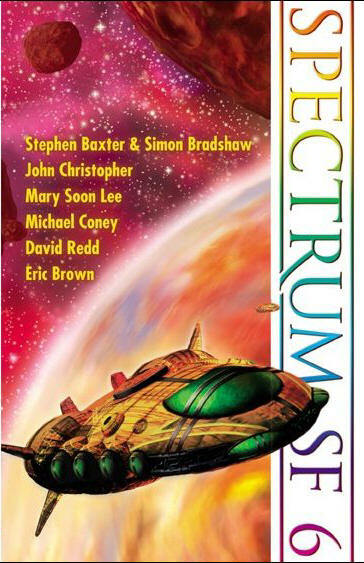 Spectrum SF [# 5, February 2001] ed. Paul Fraser (Spectrum Publishing, £3.99, 160pp, tp) Small press speculative fiction magazine. Available from Spectrum Publishing, 53 Waverley Park, Kirkintilloch, Glasgow, G66 2BL, United Kingdom. 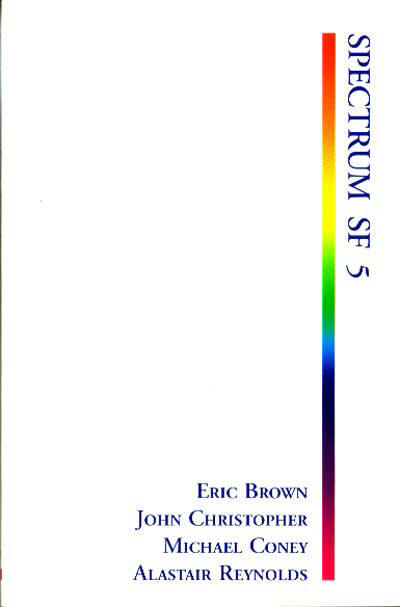 Spectrum SF [# 6, July 2001] ed. Paul Fraser (Spectrum Publishing, £3.99, 160pp, tp, cover by Dominic Harman) Small press speculative fiction magazine. Available from Spectrum Publishing, 53 Waverley Park, Kirkintilloch, Glasgow, G66 2BL, United Kingdom. 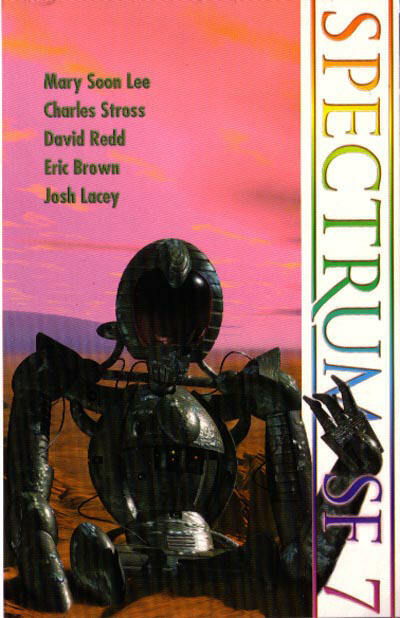 Spectrum SF [# 7, November 2001] ed. Paul Fraser (Spectrum Publishing, £3.99, 192pp, tp, cover by Fred Gambino) Small press speculative fiction magazine. Available from Spectrum Publishing, 53 Waverley Park, Kirkintilloch, Glasgow, G66 2BL, United Kingdom. Spellbound [Spring 2001] ed. Raechel Henderson Moon (Eggplant Literary Productions, Inc.; Schiller Park, IL, $5.00, 52pp, 6½" x 9" s/s, cover by Katrina Hinton-Cooper) A Fantasy Magazine for Children Ages 9 - 13. Spellbound [Summer 2001] ed. Raechel Henderson Moon (Eggplant Literary Productions, Inc.; Schiller Park, IL, $5.00, 52pp, 6½" x 9" s/s, cover by Katrina Hinton-Cooper) A Fantasy Magazine for Children Ages 9 - 13. Spellbound [Fall 2001] ed. Raechel Henderson Moon (Eggplant Literary Productions, Inc.; Schiller Park, IL, $5.00, 48pp, 6½" x 9" s/s, cover by Katrina Hinton-Cooper) A Fantasy Magazine for Children Ages 9 - 13. Spellbound [Winter 2001] ed. Raechel Henderson Moon (Eggplant Literary Productions, Inc.; Schiller Park, IL, $5.00, 48pp, 6½" x 9" s/s, cover by Katrina Hinton-Cooper) A Fantasy Magazine for Children Ages 9 - 13. 29 · Jonathans Vertue · Misc. · iv [Jonathan Carroll]; Jonathan Carroll interview. 44 · Comic Book Forum · Misc. · iv [David Finch; Clayburn Moore]; interviews with David Finch and Clayburn Moore. 54 · Women in Martial Arts Cinema · Misc. · ar [Richard S. Meyers]; Rick Meyers interview.